While the segment started off brilliantly well, it couldn't sustain the growth in the coming years . but things looked better from 2017 when Maruti Suzuki launched the new generation of the Dzire and Hyundai followed it up by launching the facelift version of the Xcent. 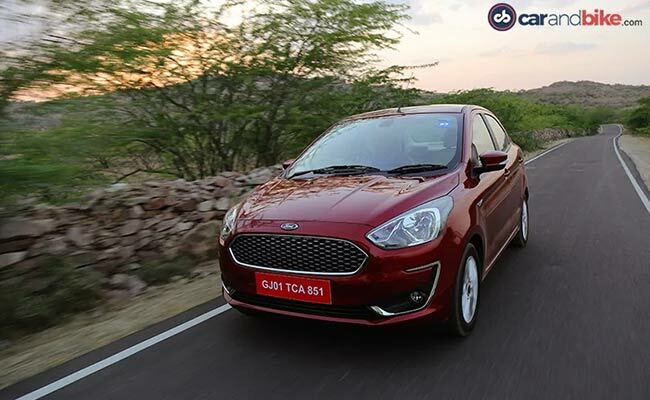 The subcompact sedan segment has seen a lot of players right from Maruti Suzuki, Hyundai, Tata, Volkswagen, Honda and even Ford. While the segment started off brilliantly well, it couldn't sustain the growth in the coming years . 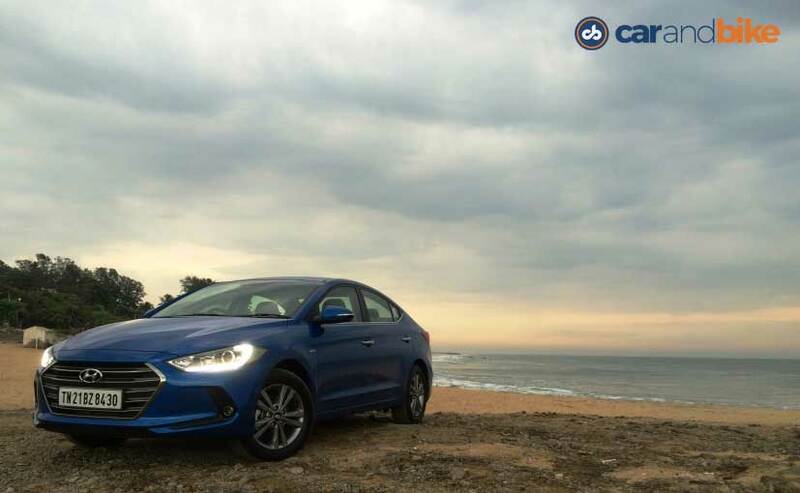 but things looked better from 2017 when Maruti Suzuki launched the new generation of the Dzire and Hyundai followed it up by launching the facelift version of the Xcent. Soon after, Honda brought in the new generation of the Amaze, while Volkswagen updated the Ameo with a new engine. Finally, it was Ford who brought in the new Aspire facelift and Tata too joined the bandwagon by introducing the facelift of the Tigor. 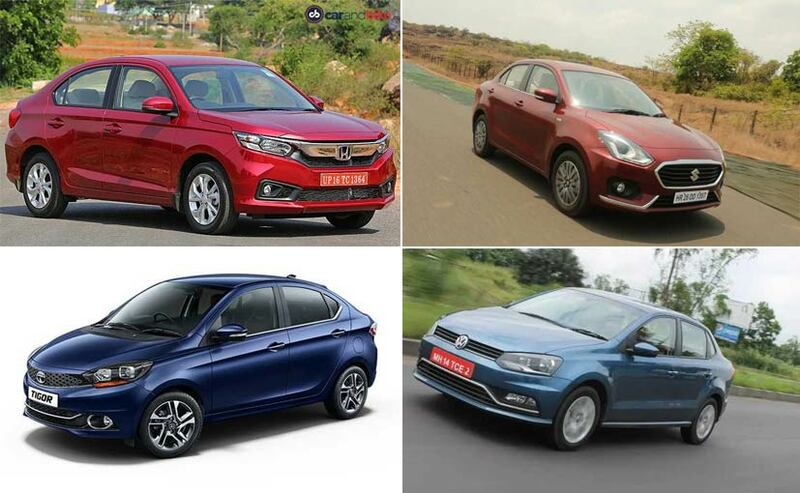 All these launches have certainly given a big boost to the segment which is why in 2018, the subcompact sedan segment has grown by 7 per cent. According to a study conducted by Jato, 2,47,024 units of sedans below 4 metres in length were sold between April to September 2018. Compare this number to 1,90,126 units in the same period in 2017, and you'll notice that the new launches have had a significant effect on the growth of this segment. The sales of subcompact sedans grew by 30 per cent in 2018 and it shows that the segment still holds a lot of potential for buyers. Sedans measuring in more than 4 metres to 4.5 metres which belong to the compact sedan segment haven't been doing too well and the figures tell the tale. 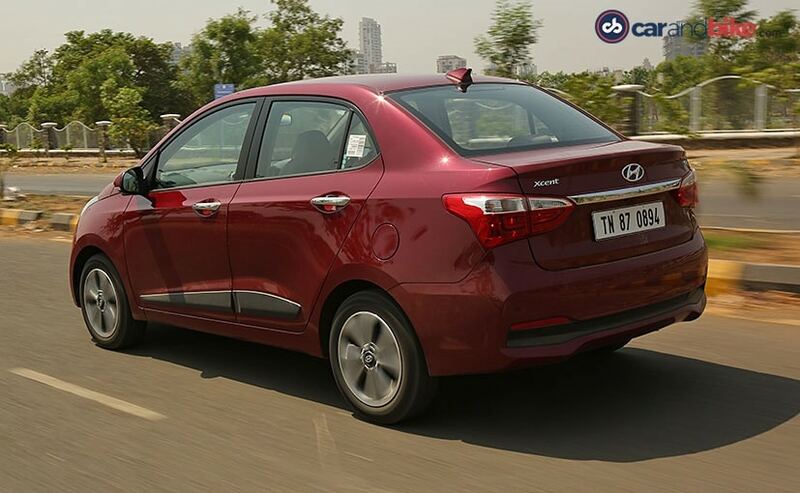 This includes cars like the Hyundai Verna, Maruti Suzuki Ciaz and even the Toyota Yaris and Honda City. 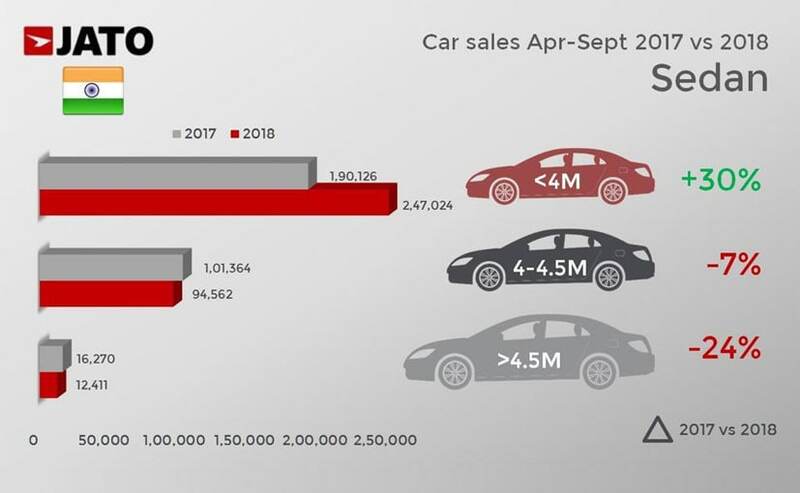 According to the study, only 94,563 units of sedans measuring between 4 to 4.5 metres were sold between April to September 2018 and it's a drop of 7 per cent compared to units sold in the same period last year. However, the significant drop in sales has been in the segment above this which includes everything from the Hyundai Elantra to the Mercedes-Benz S-Class. Sales of sedans fell by 24 per cent with only 12,411 units being sold in 2018 compared to 16,270 units in 2017. It doesn't come as a surprise that the subcompact segment is back in the news as even the sub-4 metre SUVs have seen a growth of nearly 23 per cent year on year and there are more launches slated for the future. As far as the subcompact sedan segment is concerned, it's unlikely that we'll see any new launches in this segment soon, but we can hope for more players to enter this booming market and offer the customers a lot of options.